Explanation: The Sun's third largest planet usually looks quite dull. 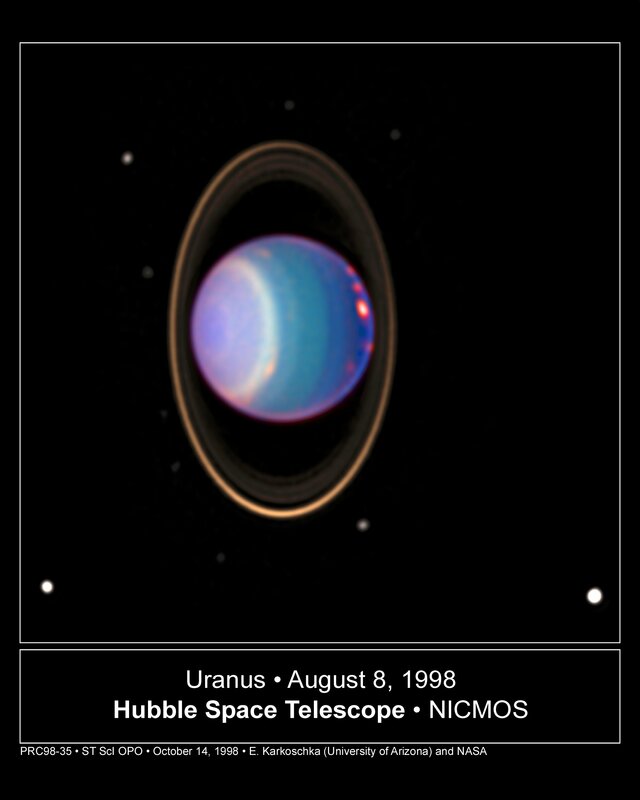 Uranus typically appears as a featureless small spot in a small telescope or a featureless large orb in a large telescope. 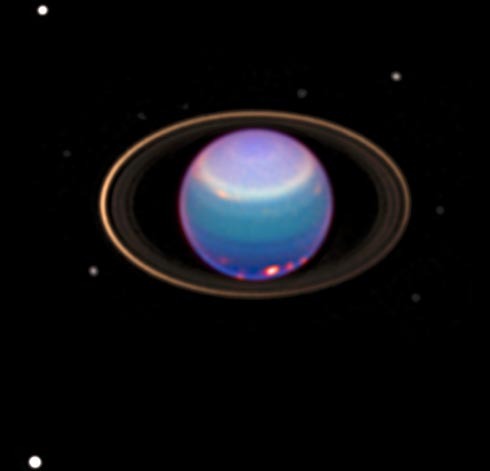 Last August, however, the Hubble Space Telescope was able to photograph Uranus in infrared light, where the distant planet better shows its unusual clouds, rings, and moons. Recent analysis indicates that clouds seen here in orange appear to circle Uranus at speeds in excess of 500 kilometers per hour. Comparisons to earlier photographs show a slight precession shift in the brightest of Uranus' rings. Several of Uranus' numerous small moons are visible.